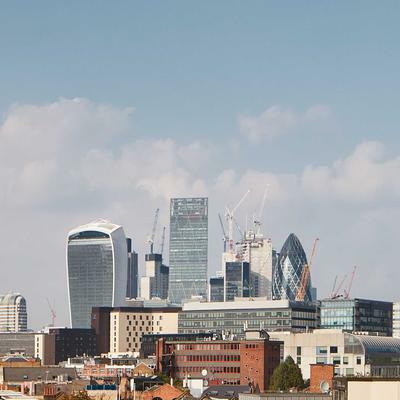 Located in the bustling and stylish neighborhood of Bermondsey, London, Starwood Hotels Group has recently opened a contemporary aparthotel, centrally situated amongst the converted warehouses, unique eateries and cultural hotspots the area has to offer. 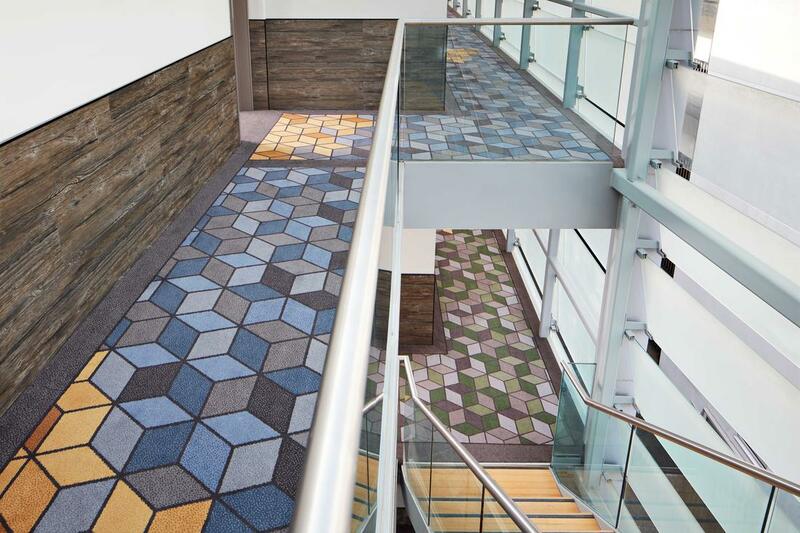 South Point Suites Hotel, commissioned Brintons to design custom axminster carpet to run throughout the corridors, and to create a hand tufted rug area for the reception, each echoing the contemporary feel of the hotel setting. 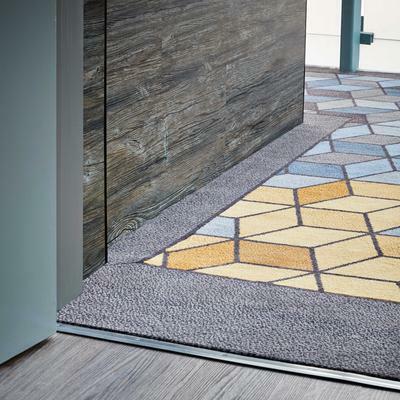 Brintons worked with leading international architecture and design practice Aedas Interiors on the project; together creating carpets to suit both the business traveller and tourist guest of the hotel. 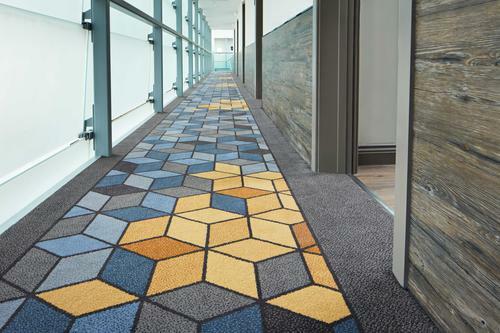 The bold, geometric carpet designs seen throughout the corridors of the hotel reflect its contemporary feel, while the sharp hexagonal ‘tumbling block’ shapes that form the design enhance the hotel’s modern structure. 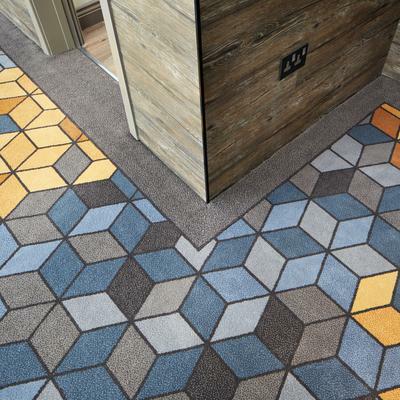 Brintons’ bespoke axminster design offers a coherent hexagonal pattern that can be seen on every floor of the hotel’s corridors, giving a sense of continuity throughout the space. The geometric ‘tumbling block’ design complements the rest of the contemporary design scheme created by Aedas Interiors. The choice of alternating levels of colour gives a great perspective when looking down from a higher level. 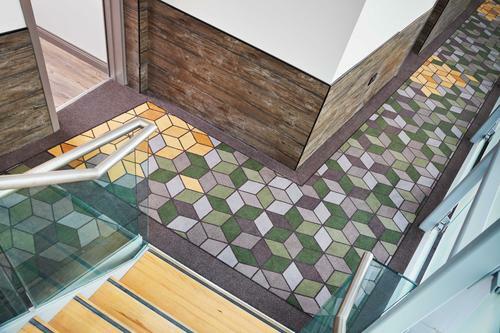 From blue and grey, to green and purple, the selected two-way colour palettes give each floor a unique feel. The corridors in this hotel were a really challenging shape for this type of design, each offshoot of the corridor needed to be designed to work around the corners, which involved more consideration from a planning perspective, as it meant all of the carpet had to be made and fitted travelling in one direction with no turn points. Due to the intricate nature of the hotel corridors, Brintons bespoke carpet design for this renovation had to be completed as an entire piece. To overcome this design challenge, Brintons used their planning expertise to provide a solution to the problem, manufacturing the borders separately and the pattern to piece together like a jigsaw with no mismatch or turn points. This was achieved using a unique Electronic Jacquard loom. Loughton Contracts were commissioned to install the carpet for the project. 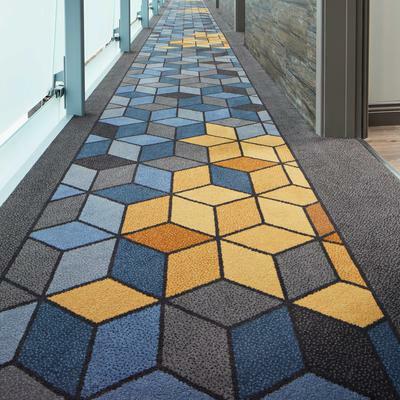 While working alongside Brintons on this challenging project brief, it soon became apparent that the Brintons team had achieved the almost impossible, designing the carpet with such accuracy, each yellow cluster of the hexagon carpet pattern falls smartly in every doorway. It is this eye for detail that makes working with Brintons such a pleasure.